This seminar will present the current trends and options in language and communication for children with autism (CWA). Focal points of discussion will also center on available options and therapy procedures that effect as well as facilitate improvements. Ms. Mae Catherine Sadicon is a graduate of BS Speech Pathology at UP-CAMP Manila. At SPEECH Clinic and St. Luke’s Neurodevelopmental Center, she gives speech, language assessments and interventions to children/adolescent with autism. She also provides differential diagnosis on specific language problems and home language programs as needed or requested. She has likewise returned to her alma mater as a special lecturer and conducts seminars around the country. Therapeutic Listening is one approach that helps to target the multiple facets of listening by using auditory input within the context of sensory integrative treatment. Find out how we listen with our ears, as well as our whole body. This seminar will help further improve the integration of the auditory and vestibular systems of children with autism. 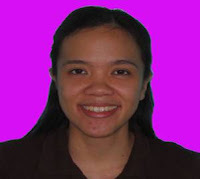 Ms. Natasha Q. Palanca-Abellada is a graduate of BS Occupational Therapy (OT) at UP-CAMP Manila. 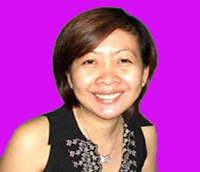 With 5-year experience working as an OT Staff in the US, and attending seminar series on Sensory Integration and Therapeutic Listening in Malaysia, Singapore and California; she now works as the Senior OT and Clinical Coordinator of Therabilities, Inc. and OT Consultant for Shine Intervention Center, both in Pasig City.